Stock up on soy sauce and save on a pantry essential. 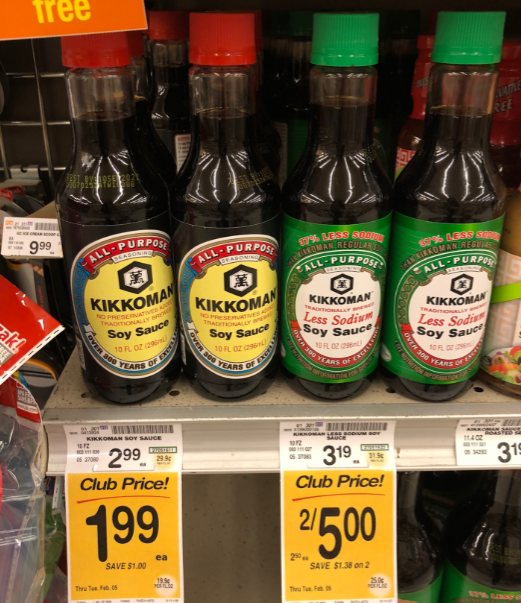 When you shop at Safeway stores through February 5th, pick up Kikkoman Soy Sauce for $1.99 or Kikkoman Reduced Sodium Soy Sauce for $2.50. Then use either the $0.55/1 printable or insert coupon from the January 20th or November 4th SmartSource. Please note, these coupons will not double. You’ll end up taking home soy sauce for $1.44 or $1.95 depending on your selection. That’s going to save you up to 52%! Final price = $1.44 or $1.95 depending on your selection, save up to 52%!